Open for sign-ups! We are a "go" rain, shine or snow! Help keep the kids safe as they make their way up to the parade. 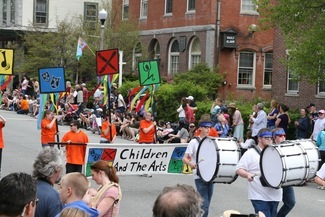 Walk with adult volunteer to PES at 11:30am to carry the CAA banner in the parade. Will do whatever is needed! Lots of set-up to do first thing in the morning! End of day clean up! Work with student volunteers to set up.